AN EMPLOYEE of El Salvador City Government was arrested in a drug bust Wednesday, March 28. The suspect, identified as 22-year-old Rey John Paul Abratiguin II of Poblacion, El Salvador City, yielded three sachets of suspected methamphetamine hydrochloride (shabu). Senior Inspector Corrine Mae Estigoy, spokesperson of the Misamis Oriental Provincial Police Office (MisOr-PPO), said the suspect was previously detailed at the city's police station as in-charge for the release of police clearance. 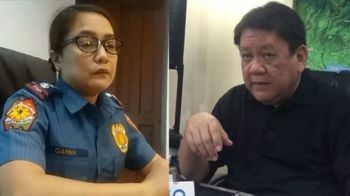 He was transferred last February in a different office after the police station's chief requested his relief following reports that he is involved in the illegal drug trade. Estigoy said the suspect has long been monitored to have been supplying shabu to street level pushers in the city. She said the suspect has been getting the items direct from Marawi City. Estigoy said the suspect's name was figured after street level pushers previously arrested tagged him as the source of the prohibited drugs. "Dili pa maingon kinsa iyang uban member sa link diagram (The police cannot disclose yet the other members of the link diagram of the suspect)," Estigoy said. Misamis Oriental police chief Senior Superintendent Rolando Destura has commended the operating personnel for arresting a high value target and urged policemen in the province to continue the unwavering efforts in carrying out the government's war on drugs. "Nagpatabang ang police sa El Salvador sa drug enforcement unit sa provincial headquarters kay kaila basin masunog ang operation kay kaila man ang suspect sa mga police sa El Salvador kay didto man siya na-assign sauna (The provincial headquarters drug enforcement unit was also tapped so as not to burn out the operation because the suspect knew the local police because he was previously assigned there)," Estigoy said.